A 20 sheet paper pad, each sheet of a different Oriental themed design in a variety of styles and colours, all with gold foiled accents. 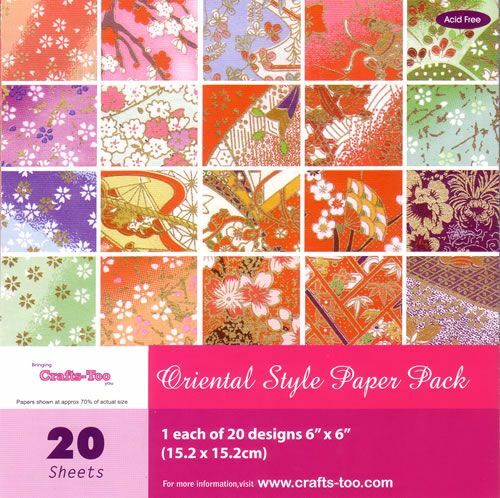 Acid free so perfect for all types of papercraft including scrapbooking and card making. Size 6" x 6" or 15cm x 15cm.